Traveling alone? Definitely, there can be no other feeling more wonderful than this. When you’re all on your own,you become self-assured about your choices; you become your own confidant. 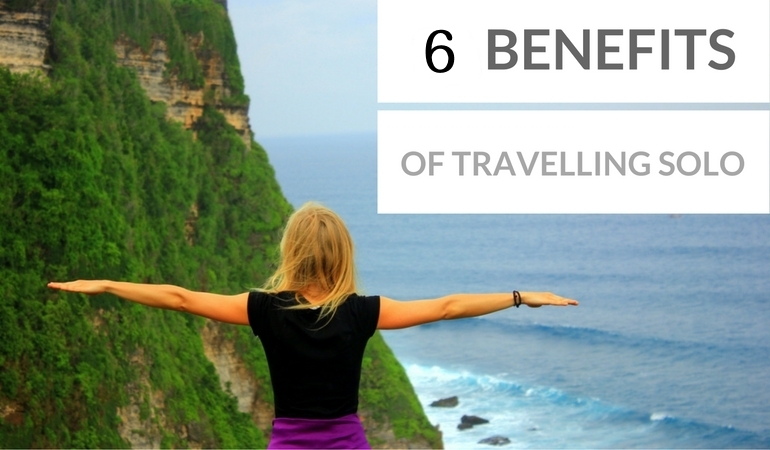 Here’s a list of 6 most amazing benefits of solo traveling. Solo travel offers you genuine exposure. Being all on your own boosts your confidence to decide better as you’re aware that decisions wide of the mark can completely mess up your holiday. You ramble and sight see at your own relaxed pace and preference. This helps discern your true purpose in life out a long way from all your responsibilities. Indeed, it’s a lot more expensive traveling with kids and family. Conversely, when you’re single, the holidays are cheaper. It’s a solo travel budget. You only make your mind up about how and where to stay and eat. Simply wallowing in at a roadside cafe or picking up a little snack while you explore your ways at the new place gives you the much sought-after Adrenalin pull. You’re left with no worries about renting expensive hotel rooms. Squeeze yourself in a small rented room or a studio apartment and lap your good moments up. While traveling with family or in a group, you know a lot of people simultaneously take decisions and make things go askew. But when you travel unaccompanied you derive the urge to trust your own gut feelings. The choice to either engage in an adventurous sport or get a tattoo done is all yours. A group trip means you’ve got to deal with plenty of compromises as far as your wishes and choices are concerned. The preferences of others also need to be accepted at times. But when you travel alone, you can be at your own whims and fancies, whether it’s a shopping spree you revel in or a sumptuous meal you tuck into at your favorite joint. The chances to interact with a lot more new people rise when you travel solo. There can be good many reasons why intermingling with strangers often proves to be a great idea. Say, for instance, sitting at a bar alone isn’t a decent call. You need to connect with someone. Or someone may just walk up and talk to you. It’s quite obvious when people come forward and try to help a lone person more often than they do while you’re in a group. It’s evident and we’re all mindful about it. When you spend a lot of me-moments, you benefit from eliminating loads of stressful toxins from your body. This makes you cheerful and your travel enjoyable. Research indicates that traveling alone is extremely therapeutic as it improves your level of happiness and cuts short your stressful and depressive phases.